In our commitment to be your trusted guide for all your skincare needs, we have gathered 5 of the best products in the market and have chosen what we think is the best ointment for eczema today. The products we carefully selected based their healing properties, simplicity to use, and value for money. MetaDerm’s Eczema Cream is the one if you’re looking for something that really works. It claims to be better than the leading prescription treatment with its unique blend of 25 botanical ingredients. Plus, 89% of respondents have seen improvements in their condition after using the product. This means this cream is really worth something. Choose Ora’s Amazing Herbal Touchy Skin Salve if you’re a fan of herbal products. Free of any fragrance, you will only be left with an “earthy” smell after every use. 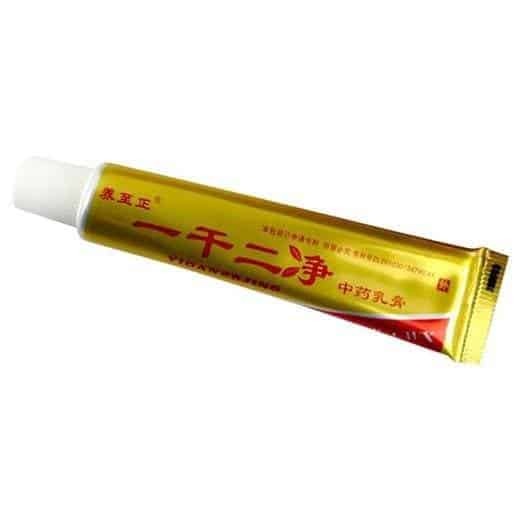 Yiganerjing’s Chinese Natural Medicine Cream is another must for those who love herbal products. It can also be used to treat other skin conditions, which means you’re really getting your money’s worth. For something accepted by the National Eczema Association, go for Cer﻿aVe’s Healing Ointment. Made with dermatologists, it soothes cracked and dry skin without the greasy feel. 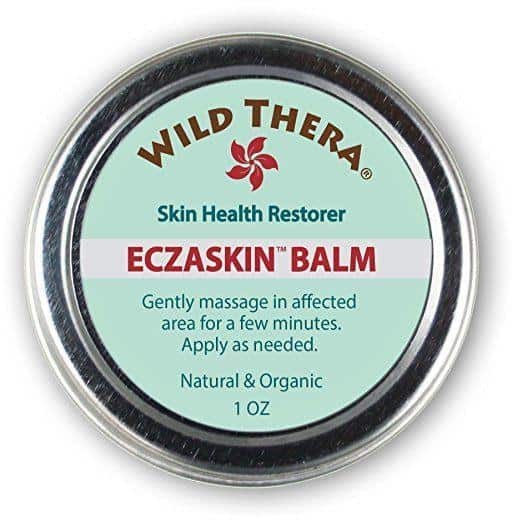 If you are willing to spend a little extra, then go for Wild Thera’s Eczaskin Balm. It is also 100% organic, which means you can now say goodbye to eczema while still caring for the environment. Get the real deal as our editors share their top picks as the best ointment for eczema. If you’re tired of prescription products, then this one might be the best ointment for dyshidrotic eczema for you. It claims to restore your skin’s balance without the ugly side effects. Formulated by two doctors, what makes this product special is that it is highly-effective yet is all-natural. They also have first-hand experience of living with eczema, which is a huge plus. The cream is full of anti-inflammatory properties and can give you visible results in less than a month. For a dramatic improvement in your skin health, you should wait for around 12 weeks. Aside from being great for eczema, this product can also be used by babies and toddlers. That’s a huge plus since it shows how effective it is for sensitive skin. It is 100% natural and makes use of ingredients like licorice root and calendula. It is also free from any preservatives and parabens and will not burn the skin unlike the ones that are chemically made. What sets this product apart from the others is that it contains no essential oils. This property is important because fragrance can irritate sensitive skin. The cream also has soothing properties from the castor oil it contains. It also has licorice roots which give it potent anti-inflammatory benefits. This may be the best ointment for dyshidrotic eczema as it’s been proven by athletes. Bikers, runners, and swimmers have used this product to prevent their skin from drying when exposed to harsh weather. What we found exciting about this product is that it can be used for a number of skin conditions. This little tube really goes a long way and might even make its way to our medicine kits. Coming from China, this cream only makes use of 100% organic ingredients. It follows traditional Chinese medicine which has proven its effectiveness for generations. Aside from eczema, it’s a great cream to use on several other skin ailments. It comes in a tube so make sure to be extra careful when squeezing the product out so you don’t dispense more that what you need. This is another great ointment for dyshidrotic eczema as it has been recognized by the National Eczema Association. As long as a product’s on NEA’s list, you know you’re in good hands. Aside from treating eczema, this product can also be used on baby’s skin. It also contains ceramides, which are essential in restoring and maintaining the skin’s protective barrier. This product is also lanolin-free. Though used in some beauty products for its “beautifying effect,” this ingredient can be very irritating for those who have sensitive skin. This balm is perfect for those who love organic products. Made with a unique blend of herbs, this product has been tested for its reliability, quality, effectiveness, and potency. It makes use of Chickweed and Licorice Root to treat eczema and to reduce redness and itching. This duo has been used in Traditional Chinese Medicine and has been proven to be effective. Creams and Ointments: What’s the Difference? You’ve probably thought of the same thing before. Though both can be applied topically, ointments and creams make use of different formulas. Simply put, the difference is their proportion of water to oil. This means that the product tends to become stickier and greasier the moment more oil is added. An oil in water emulsion, creams are usually white and thick. It can be easily absorbed by the skin, and due to its “spreadability” factor, can work better on larger areas. Ointments, on the other hand, are very greasy, clear, and thick. They are great for dry skin because they have more moisturizing properties as compared to creams. This is always the first choice when dealing with eczema. Since they are the ones with the highest oil content, they are great in sealing in the moisture your skin needs. Furthermore, because it lacks any form of preservatives, ointments are less irritating than creams—thus, making it great even for sensitive skin. Products like mineral oil and petroleum jelly are great for the treatment of eczema because of their high oil content. Just make sure to use them during nighttime for better skin absorption. 1. For best results, apply it after taking a bath. 2. If the ointment you are going to use is medicated, it’s a good idea to check with your doctor first. 3. Never use it as a moisturizer. 4. Do not use large amounts of the ointment for an extended amount of time. 5. Some areas of the skin are better in absorbing medication as compared to others. It is recommended to note which ones these are for safety reasons. With a variety of ointments currently available, it’s really hard to decide which ones are worth the money and which ones are not. But don’t fret, because that’s why we’re here. For this roundup, we’re hailing Metaderm’s Eczema Cream as the best ointment for eczema. This product was created with people with eczema in mind and that for us is a huge plus.